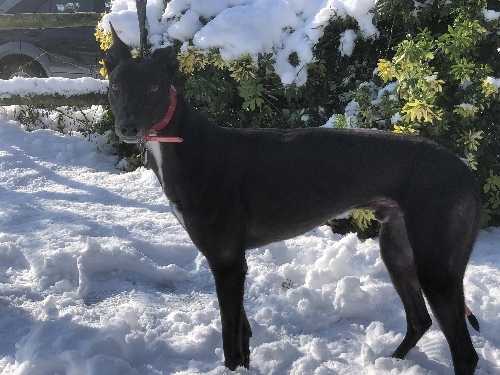 Chip was born on 16th December 2015 and has now been homed. 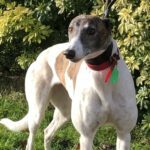 He is a friendly small boy who has a very happy tail and a licky tongue! 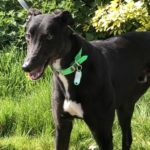 Chip enjoys chasing after a soft toy using his lightning speed to dash around, although this cheeky chap hasn`t mastered the talent of bringing them back to his human friend! 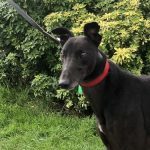 He enjoys his walks and can walk very nicely on the lead. 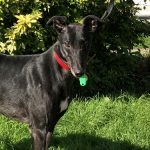 Chip has come along way with other breeds of dog since arriving with Greyhound Lifeline. He has now learnt that smaller dogs are still dogs and they can be friends too! 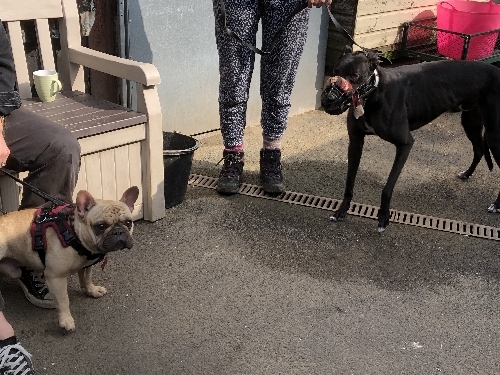 He can still get excited meeting other breeds however he looks to his handler for reasurance and is learning to wait patiently until he is allowed to play with them. 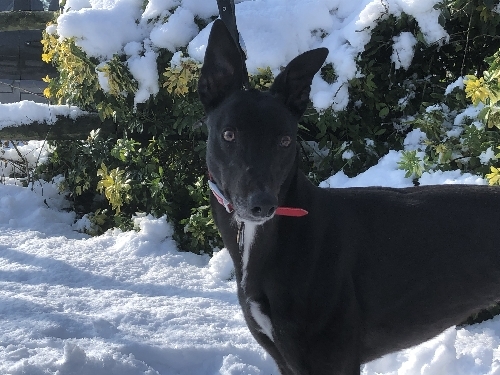 Chip will still need his new owner to carry on introducing him to other breeds so he can become fully sociable and enjoy being in the company of other dogs. Chip meeting one of our smaller dog training dogs. 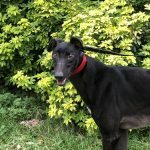 Chip would be best suited to a home with children over the age of 8 years and he could be a companion to another greyhound or other breed of dog with careful introductions. He is a boy who loves his food and will give you a clean bowl at every meal time! 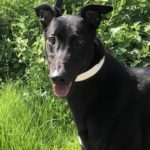 If you are interested in this loveable lad, please ring our adoption line to arrange a viewing. 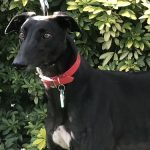 This entry was posted in Greyhounds Homed and tagged Featured, Friendly, Homed, Small by Lucy.